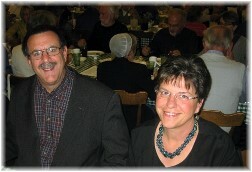 Message summary: What a blessing that we can cast all our cares on the Lord and have an assurance that He cares for us. He ever loves and cares for His own! “Casting all your care upon Him, for He cares for you” (1 Peter 5:7). Hoffman became a minister and prolific songwriter and many of us still enjoy singing his songs today such as “Leaning On The Everlasting Arms”, “Are You Washed” and others. When Hoffman was not working in his study, he could often be found chatting with poor people in the homes “across the tracks”. In fact, we pass over these same tracks each week. 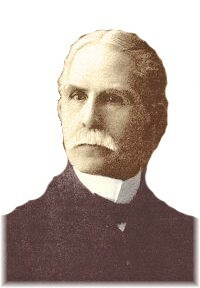 One day, in 1894, he visited the home of a parishioner in the hills near Lebanon, Pennsylvania. Sorrow and affliction were frequent visitors there. He found a woman in the depths of mental anguish. He counseled with her and quoted verses from the Bible, which he thought would console her. However, she seemed to be unable to rise above her distress. He then suggested that she could do nothing better than to take all of her sorrow to Jesus. “You must tell Jesus,” he told her. A light broke across her face and she cried, “Yes! I must tell Jesus.” And so she did. After a period of prayer, she rose from her knees with a brightness in her face. He ever loves and cares for His own. 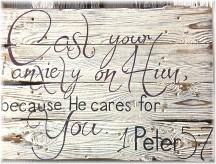 What a blessing that we can cast all our cares on the Lord with the assurance that He cares for us. Indeed, He ever loves and cares for His own! Daily prayer: Father, I must tell Jesus all of my troubles, for He is a kind, compassionate Friend. If I but ask Him, He will deliver, make of my troubles quickly an end. During times of trouble and tribulation; during times of sorrow and care; when tempted or lonely Jesus is there for me so prompt me, Father, to take my troubles to Jesus rather than foolishly wring my hands in utter distress. 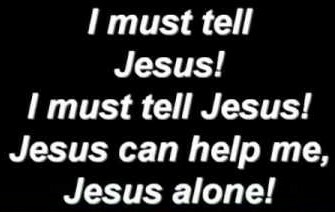 Jesus alone is the One who can help me when I go to Him, by faith, in prayer. Amen. “I Must Tell Jesus” Video Joni sings “I Must Tell Jesus” and introduces songwriters, famous for their hymns, who had disabilities. “Tell It To Jesus” Video Another old song that came to mind in the course of preparing today’s message. Today is our cat Dottie’s 17th birthday. She was born on this date in the summer kitchen beside the rental farmhouse we first lived in when we moved to Lancaster County from New England in 2001. 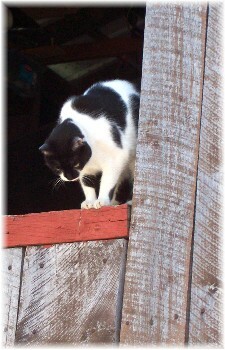 The barn cat who hung around the house had a litter and Ester selected Dottie to keep. By far she is the pet we have had for the longest time and she seems to be doing fine. She lives in our utility barn but we let her out daily so she can prowl around a bit. She still catches critters.